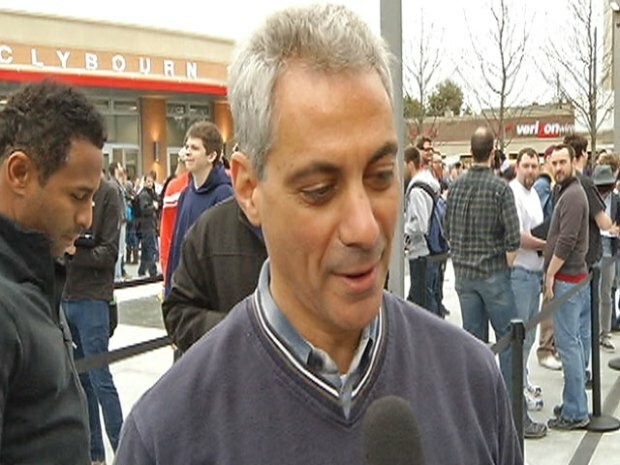 Unofficial mayoral candidate Rahm Emanuel, a self-proclaimed "passionate Apple user," greets those waiting in line for the new Lincoln ParkApple Store and talks about his confidence in solving the city's problems. The company installed new brick and windows, and cleaned the station’s once-dingy floors and escalators, and painted the railings a cheery red. Outside there’s a plaza with a fountain, a nice place for riders and customers to enjoy their iPods, iPhones, and iPads. And not coincidentally, glowing Apple ads meet you at every turn. 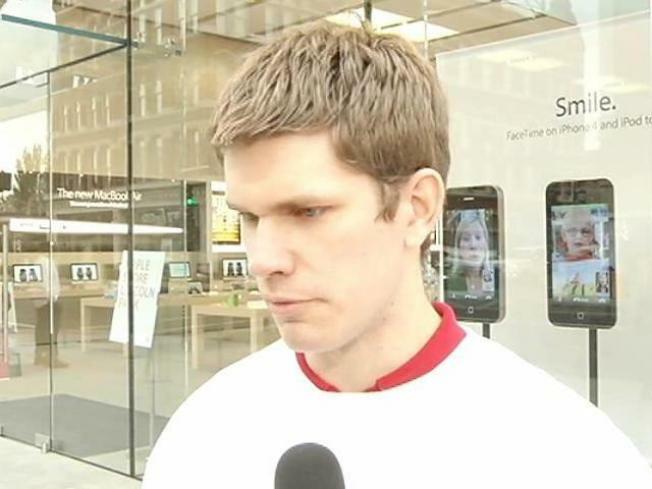 The Apple name seems to be everywhere -- except out front. Apple expressed interest in renaming the station the Apple Red Line Stop, but right now the CTA doesn’t sell naming rights to it’s stations.